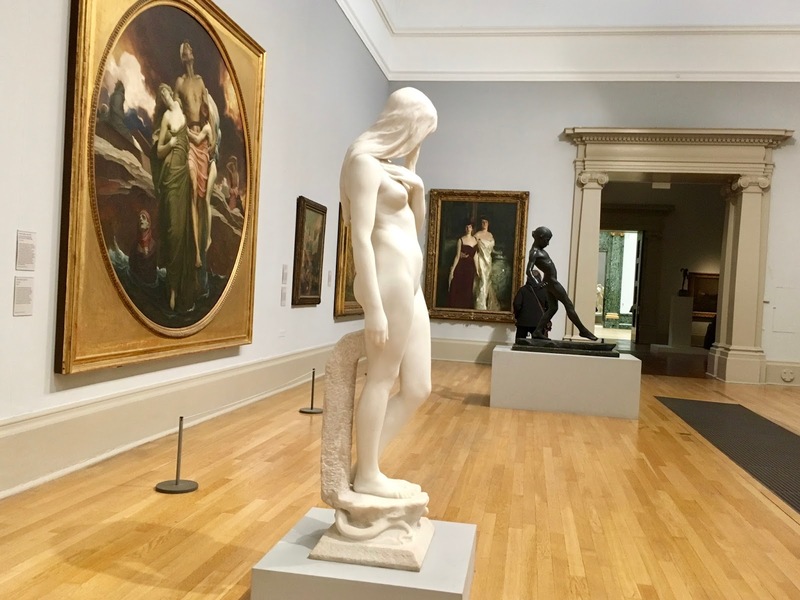 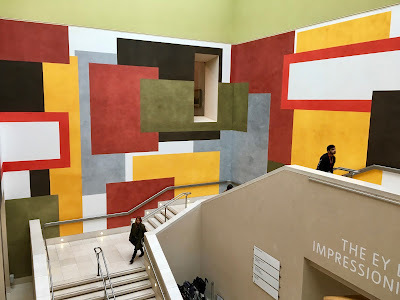 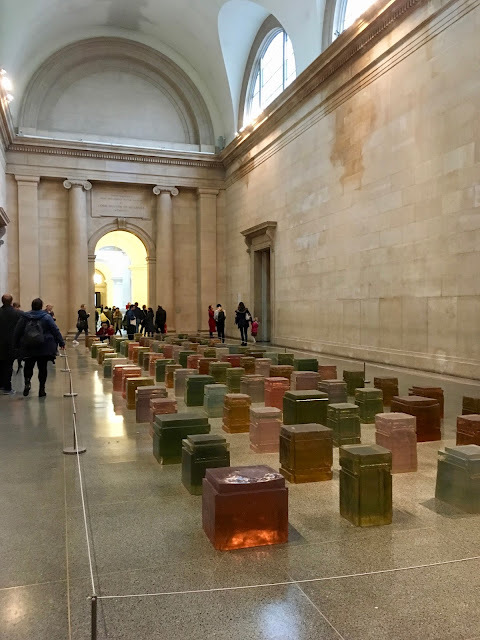 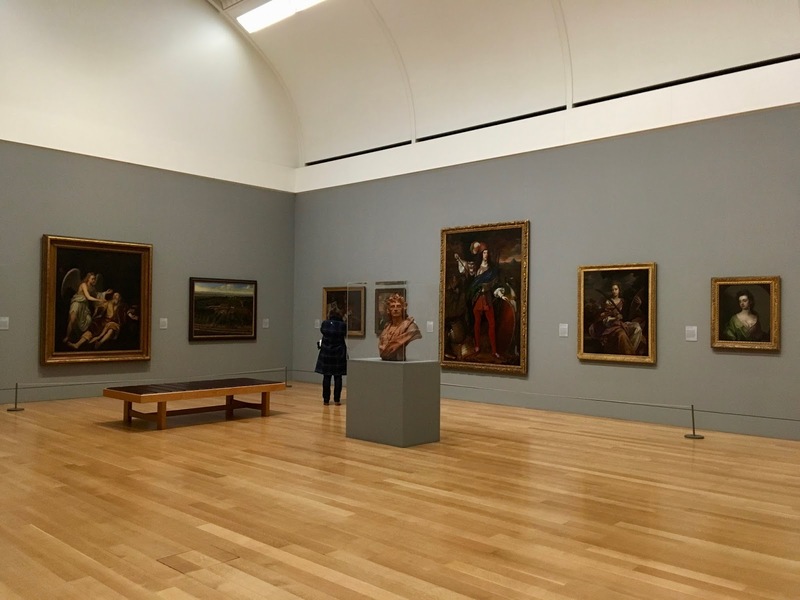 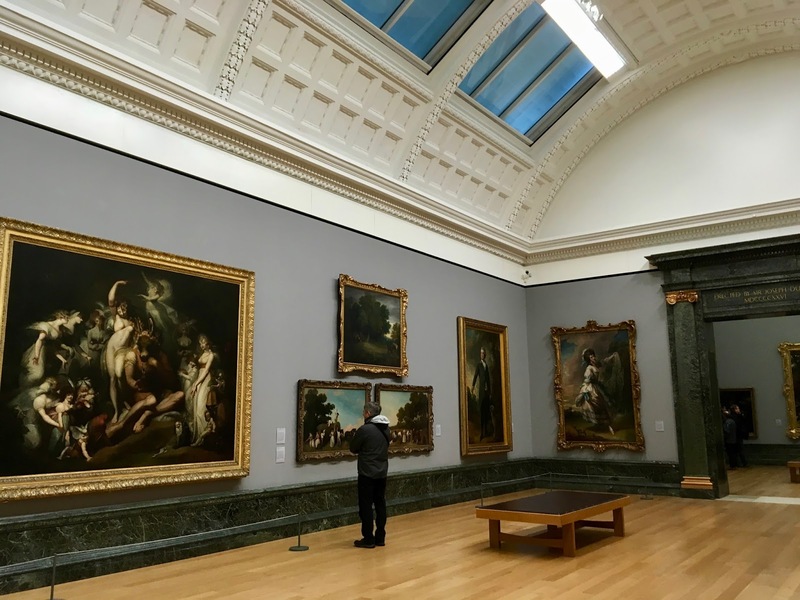 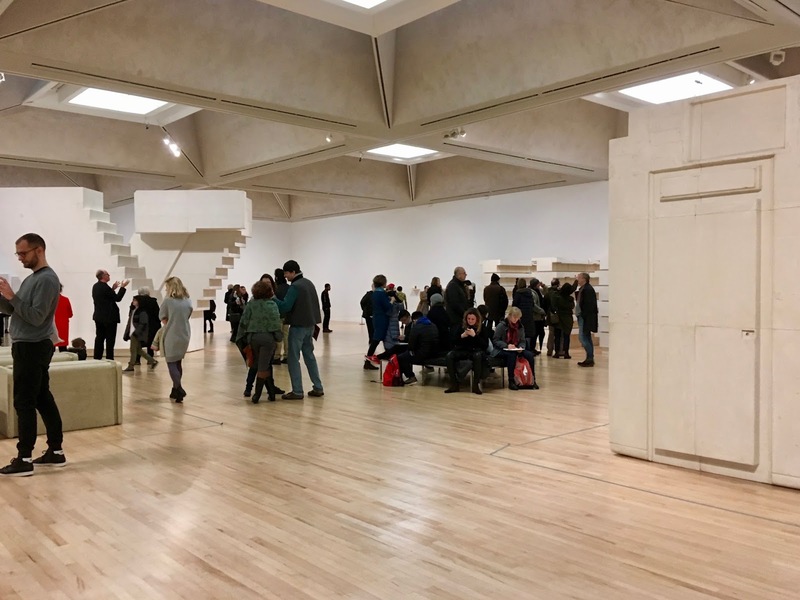 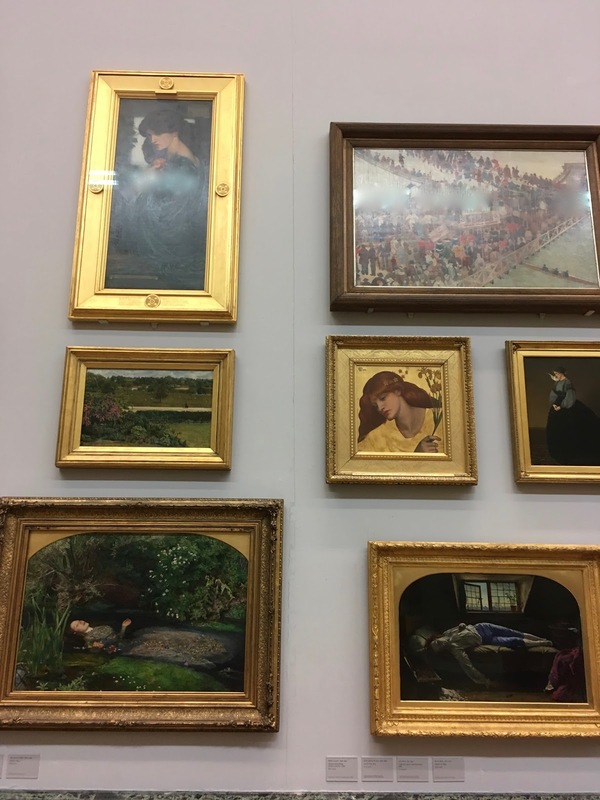 The Tate is the home of British art from 1500 to the present day. The oldest painting in the Tate is this next one entitled Man in a Black Cap by John Bettes dated 1545. 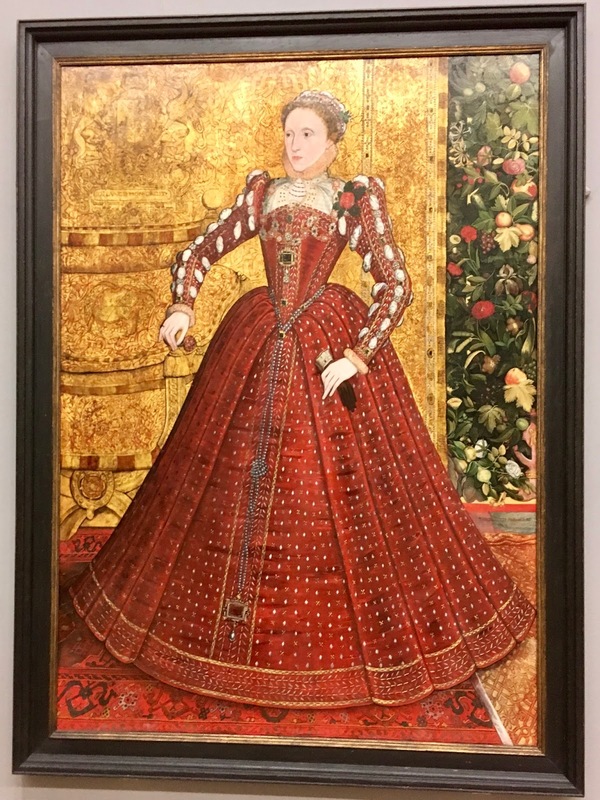 Queen Elizabeth I was on the throne at this time and it's no surprise to find her portrait nearby. 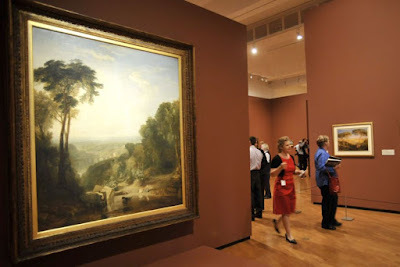 It is a shame, however, the artist cannot be clarified. 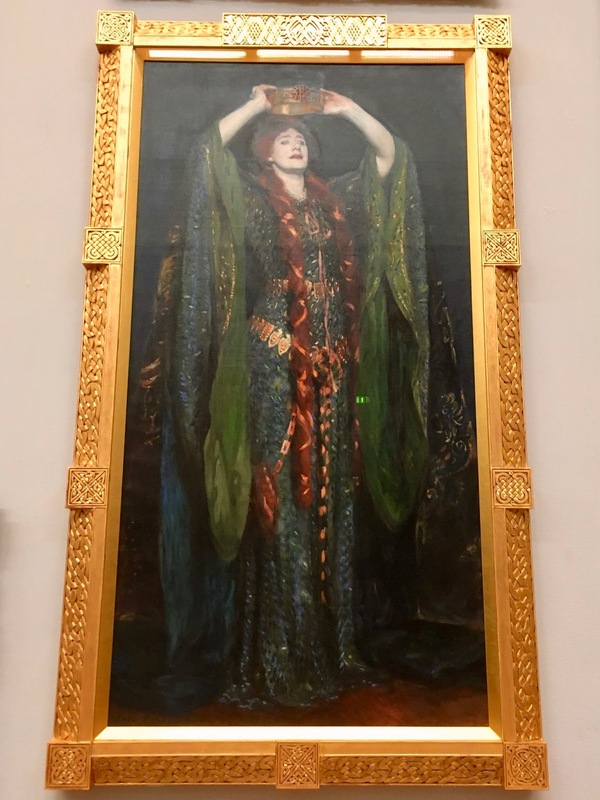 It was either Steven van der Meulen or Steven van Herwijck who created one of the first life size paintings of the monarch. 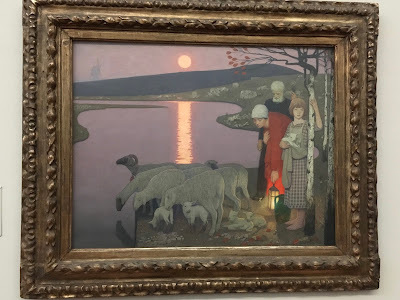 This next painting is one of my favourites. 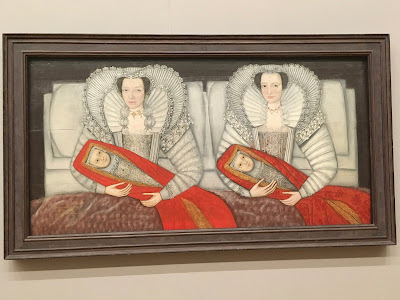 Although it was painted c.1600-10 and the artist remains unknown it has a surprisingly modern feel about it. 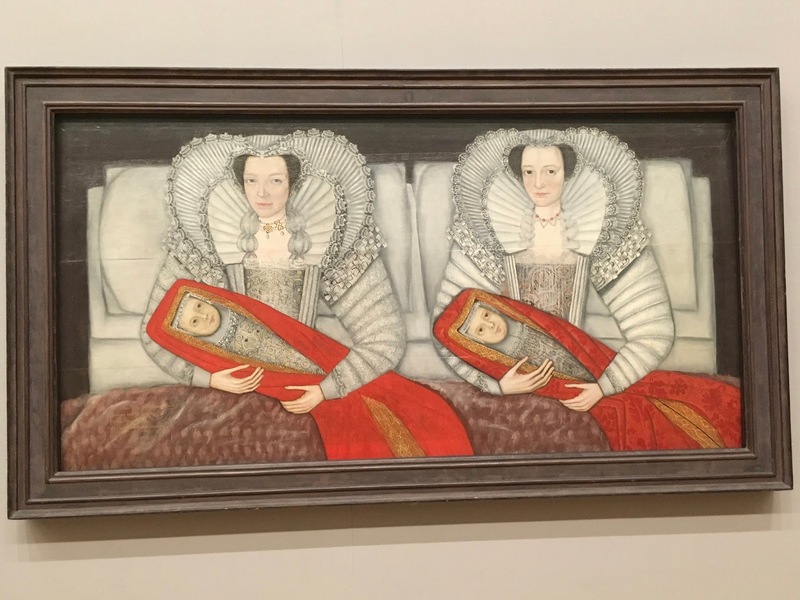 The inscription at the bottom states the Cholmondeley ladies were "born the same day, Married the same day And Brought to Bed (gave birth) the same day". 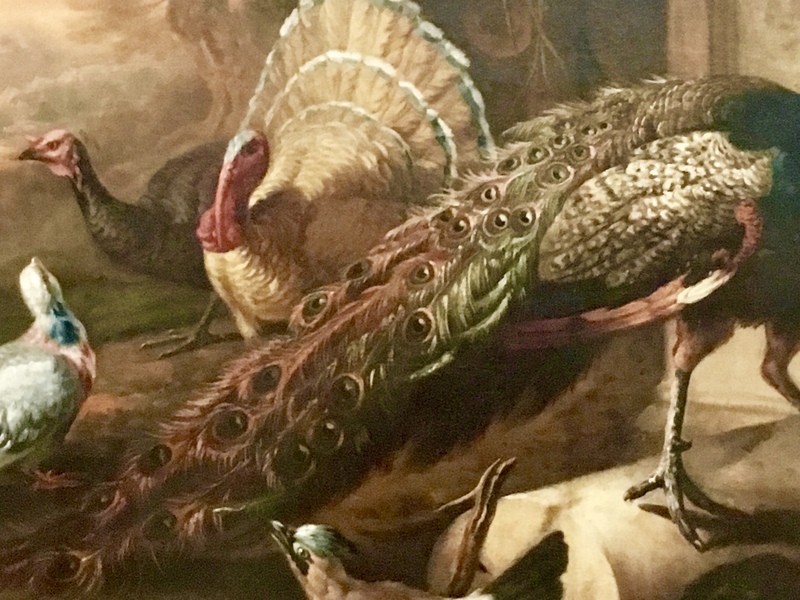 The detail of the peacock's tail feathers (painted one hundred years later) were mesmerizing. I half expected the bird to jump out of the frame and scurry away! 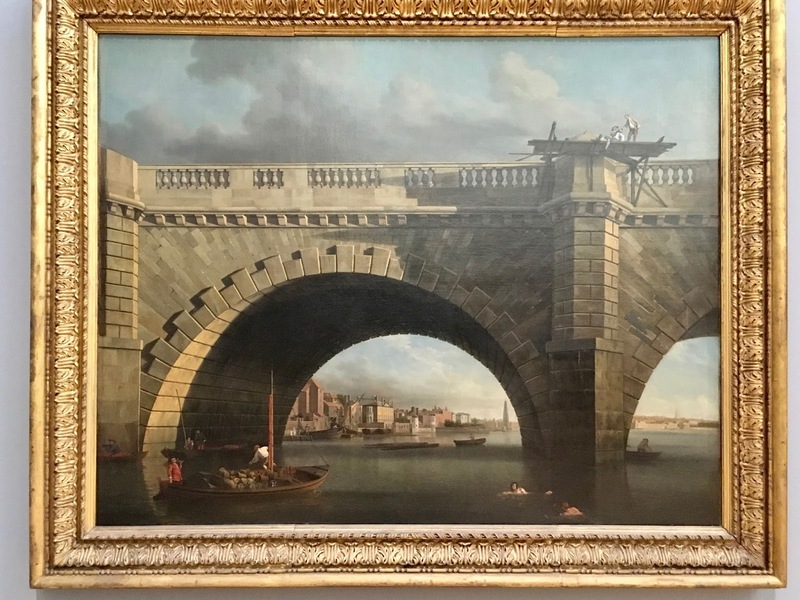 There are very few swimmers frolicking in the Thames beneath the Westminster Bridge these days...without the protection of a wetsuit at least. 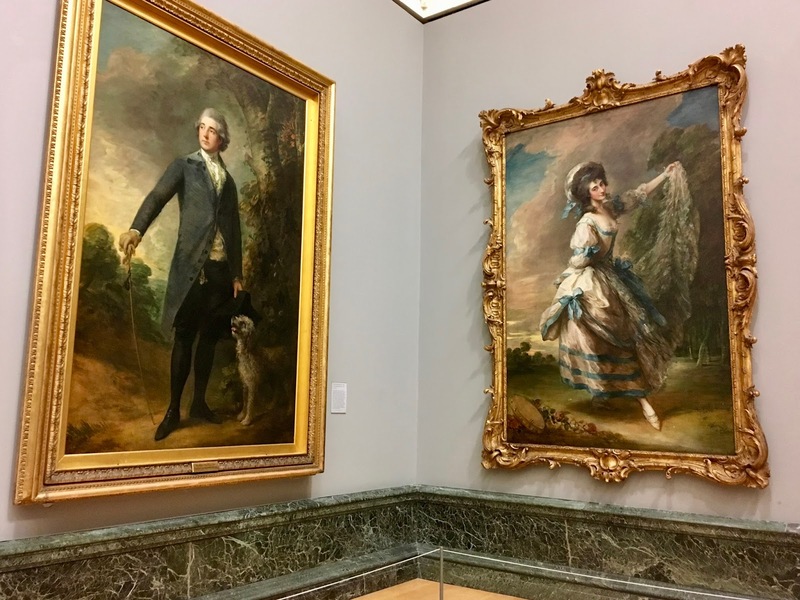 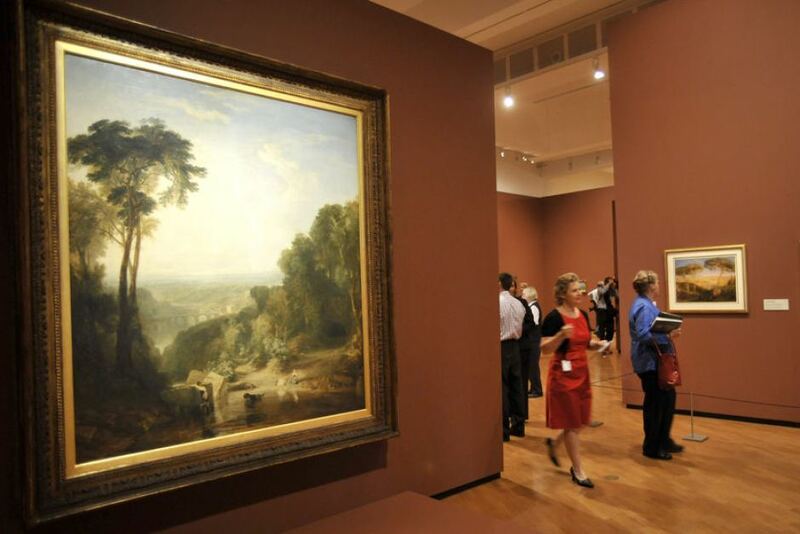 While Gainsborough is about as British an artist as one can get! 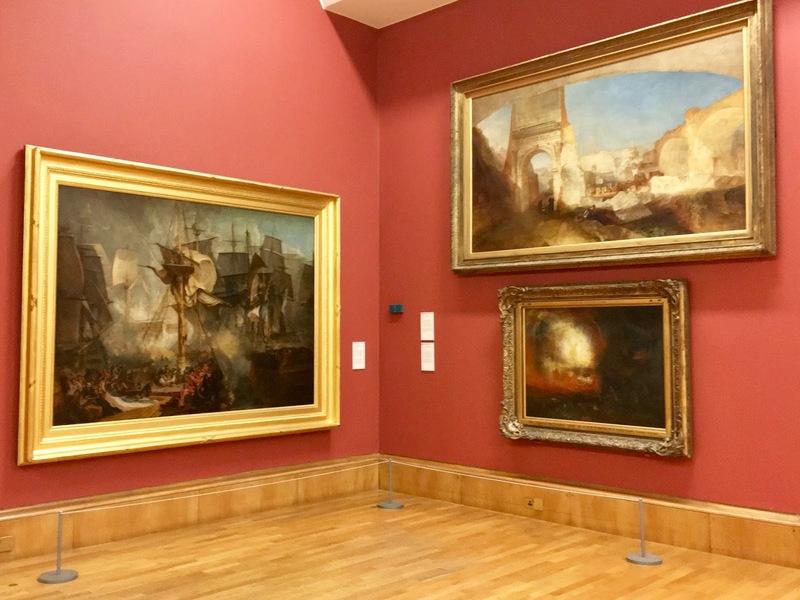 There was, of course, a number of rooms dedicated to Turner. 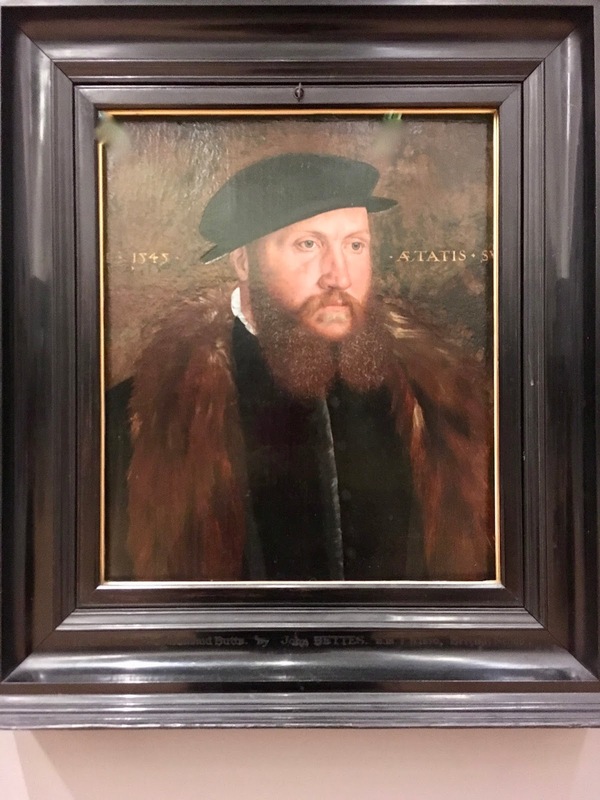 While I appreciate his prolific life's work, subject matter and innovative technique, sadly, I'm not a fan. My loss, I'm sure. 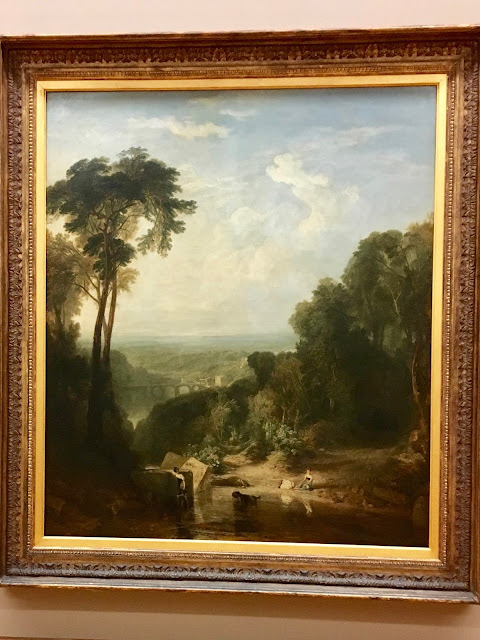 I do, however, like this particular painting entitled "Crossing the Brook" first exhibited in 1815. 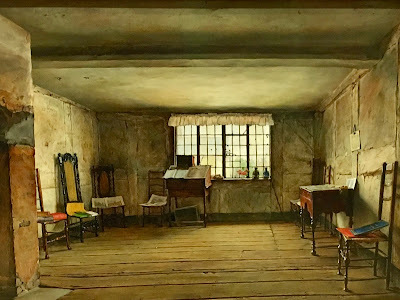 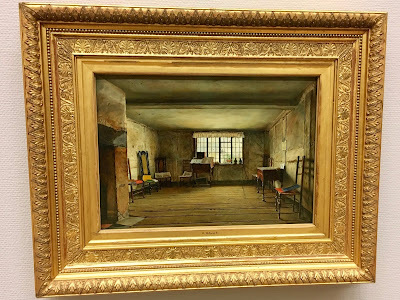 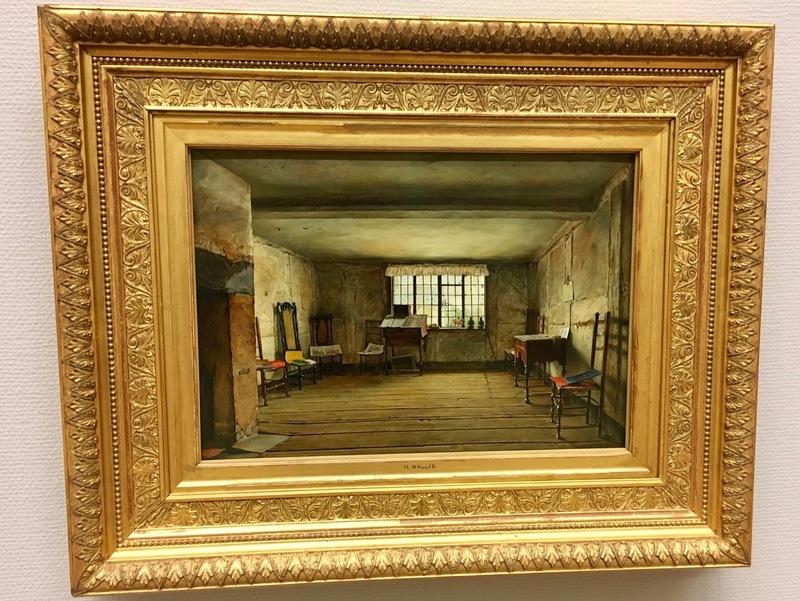 This next painting by Henry Wallis, painted in 1853, has a decidedly traditional feel - or perhaps it is the subject matter itself - "The Room in Which Shakespeare was Born". 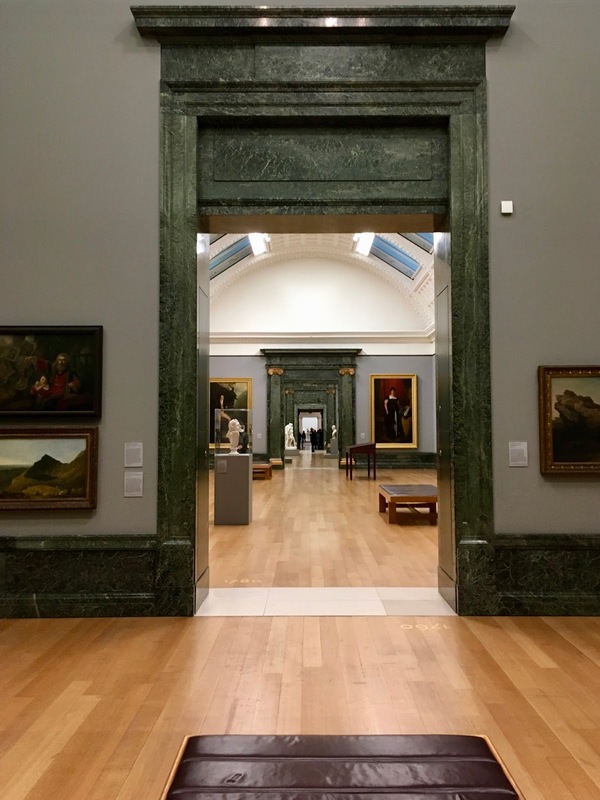 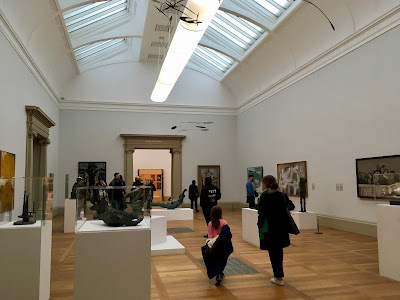 The Tate Britain is a huge building and the exhibition rooms go on and on, seemingly forever as shown in this next photo. American John Singer Sargent was considered "the leading portrait painter of his time" and its easy to see why. His depictions of high society figures in Paris, London and New York illustrated how he updated a centuries-old tradition in order to capture his sitters' character and even their reputation. 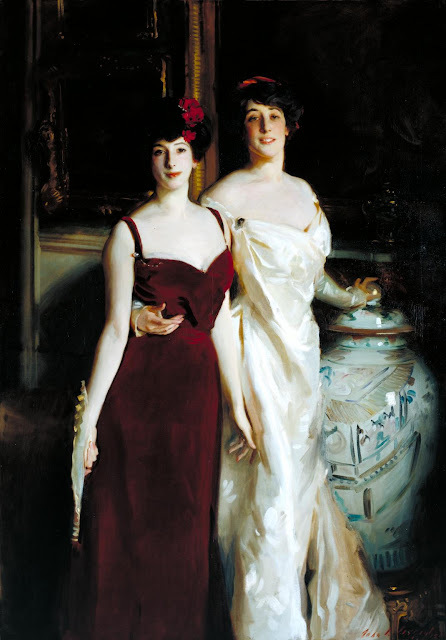 The personalities of "Ena and Betty, Daughters of Asher and Mrs. Wertheimer" by John Singer Sargent, painted 1901, shines through the oil and canvas and provides a clear image of both the lives and social standing of these young women. 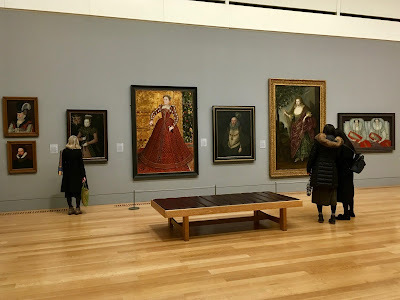 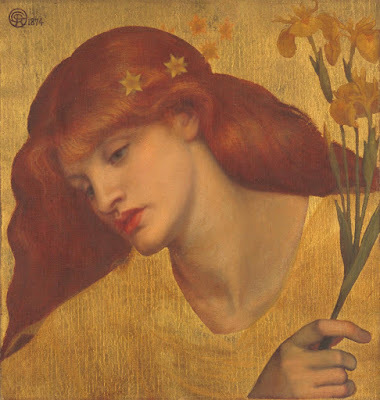 Having just visited the William Morris Gallery the previous day I was delighted to spot a number of paintings by his friend and colleague Dante Gabriel Rossetti. However, the relationship soured when Rossetti had an affair with his wife, Jane. She posed as his model for the painting "Proserphine" dated 1874. 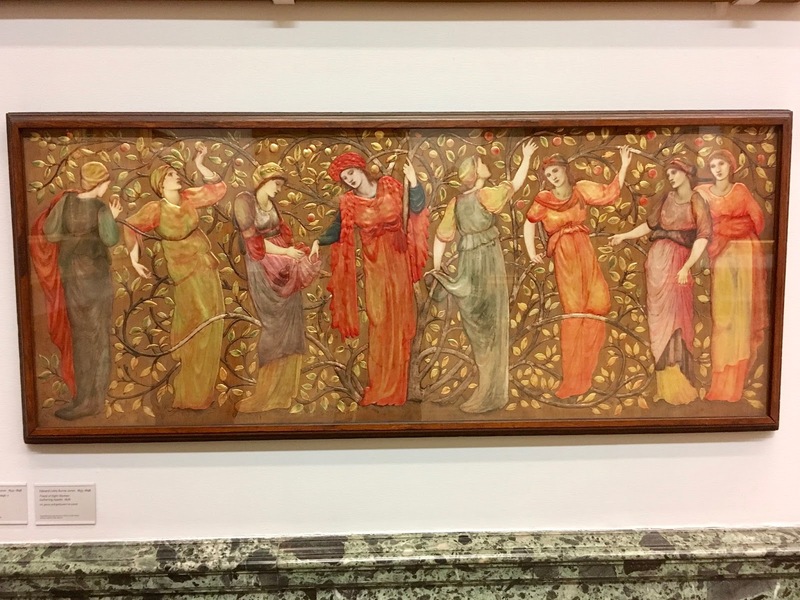 William Morris's friend and business partner, Edward Coley Burns-Jones painted "Frieze of Eight Women Gathering Apples" in 1876. 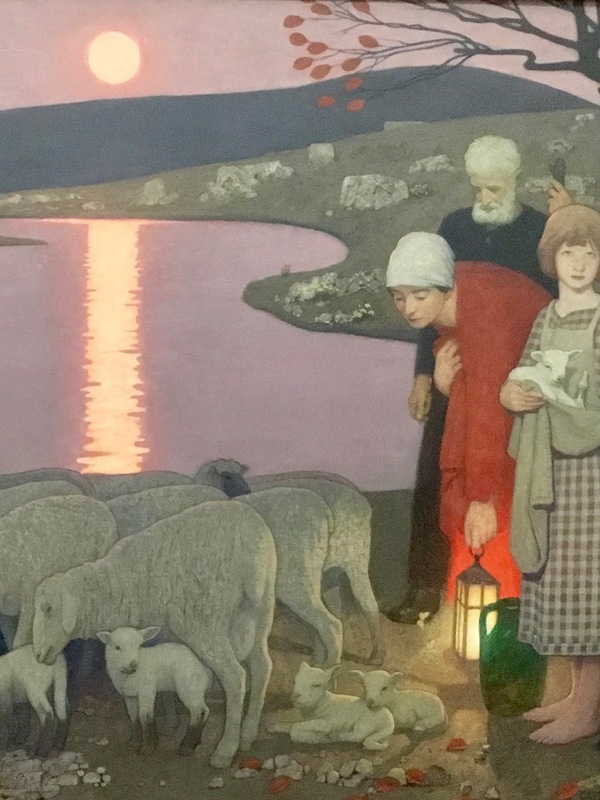 This next oil on canvas entitled "Pastoral" by Frederick Cayley Robinson and painted 1923-24 illustrated another wonderful use of light in both the reflection on the lake of the moon and the soft glow of the lantern. 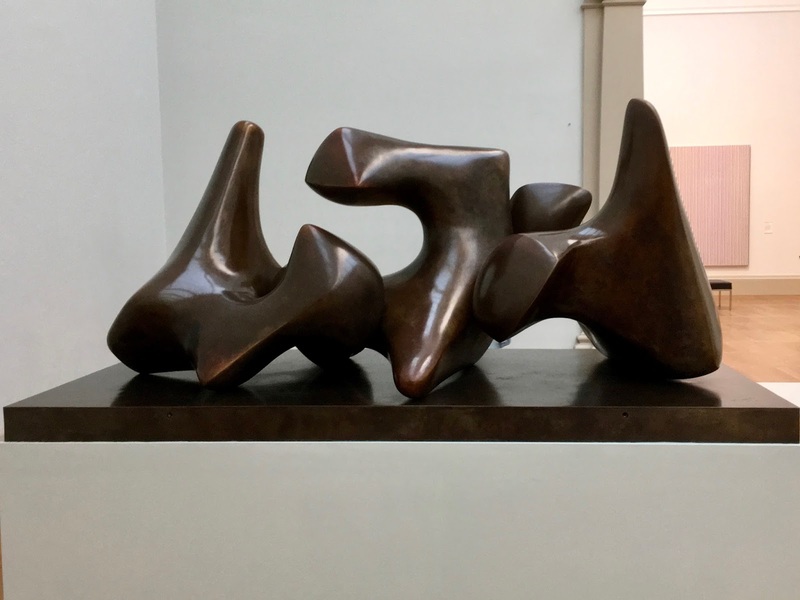 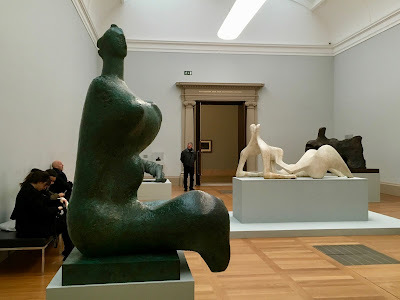 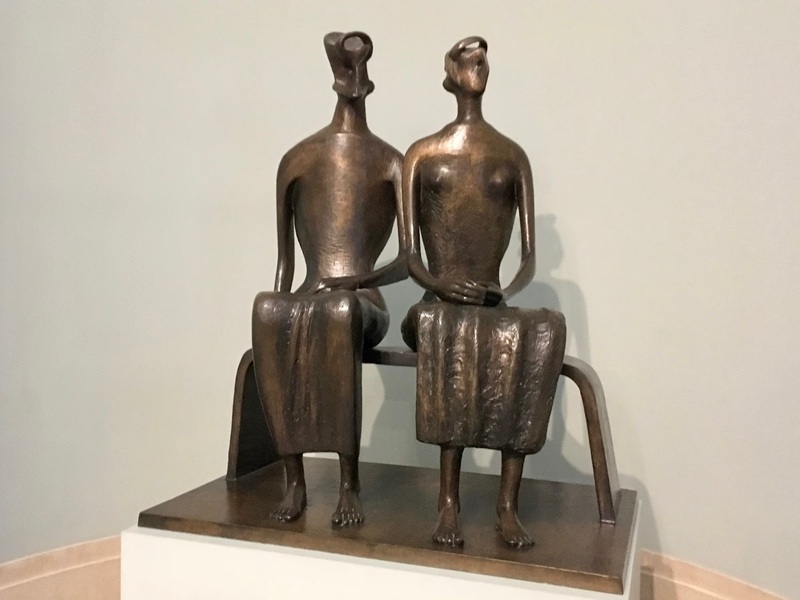 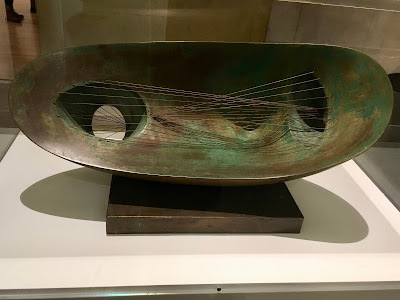 And what would a British art gallery worth its salt be without Henry Moore (b. 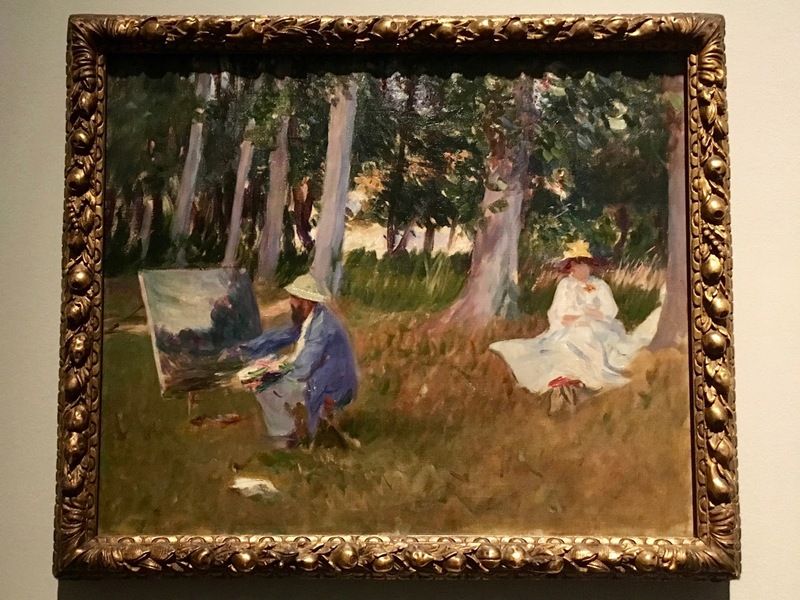 1883 - d. 1986)? It's a given one will find his fellow artist Barbara Hepworth close by. 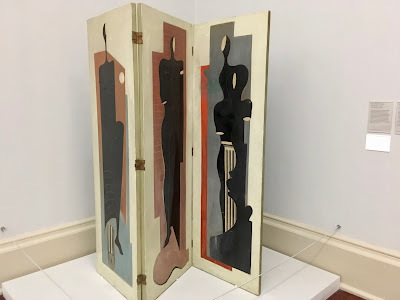 An icon of the Cubist period was Francis Bacon (b. 1909, d. 1992). 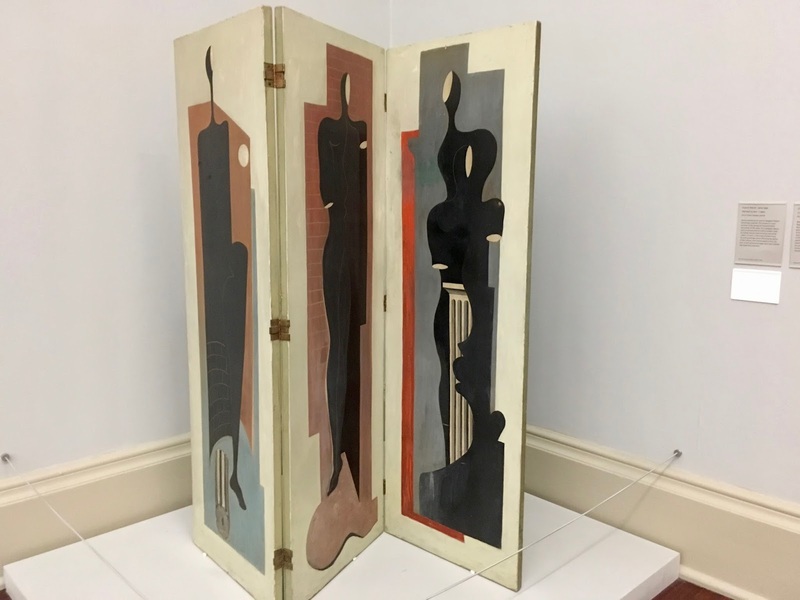 He was an interior designer before he became an artist and this "Painted Screen" c. 1929 is a rare example of the transition period. Confession time. As an art college graduate I'm rather skeptical when it comes to certain aspects of modern art and feel its a mixture of shock and awe and verbal BS rather than actual talent. 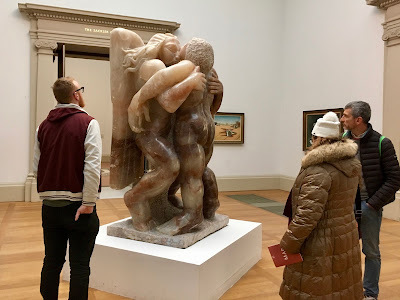 Sadly this next exhibit did little to change my opinion. 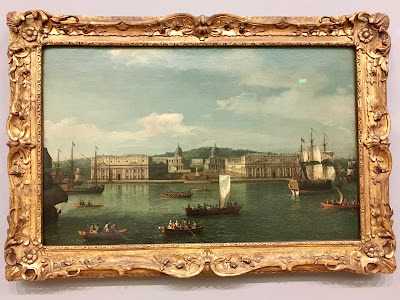 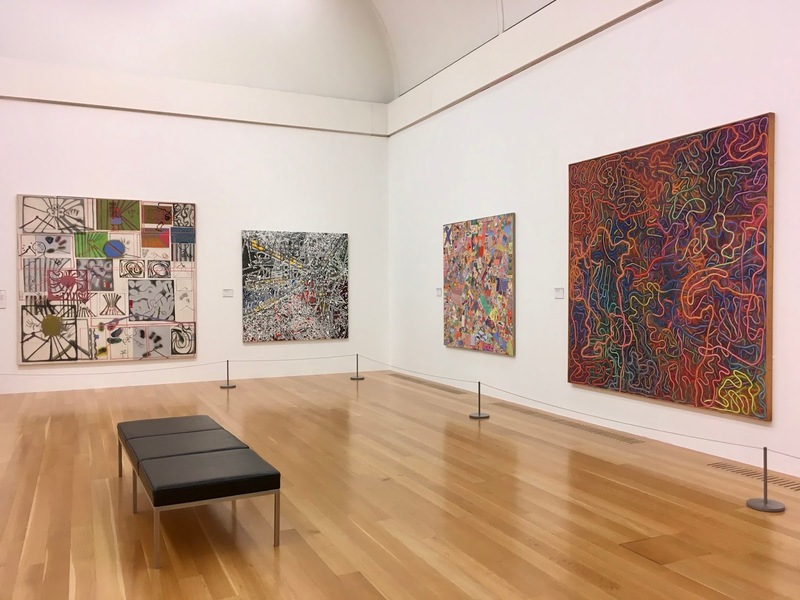 I understand and appreciate that modern artists are forced to push the envelope to be noticed, but nothing about this exhibit inspires or even engages. 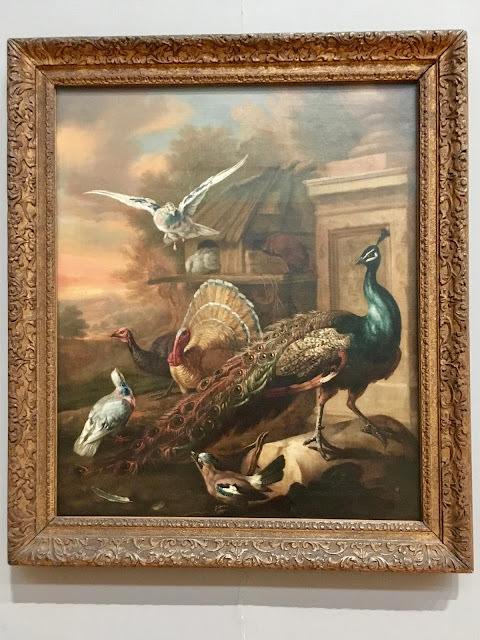 I always walk away feeling as if the public has been conned and if we're told repeatedly this is art, we'll buy it. 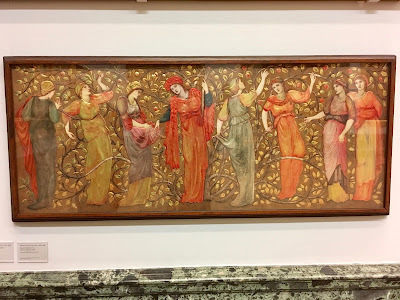 Like William Morris I believe beauty is a human right and there appears to be very little beauty here. 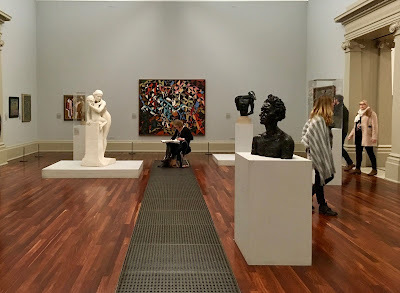 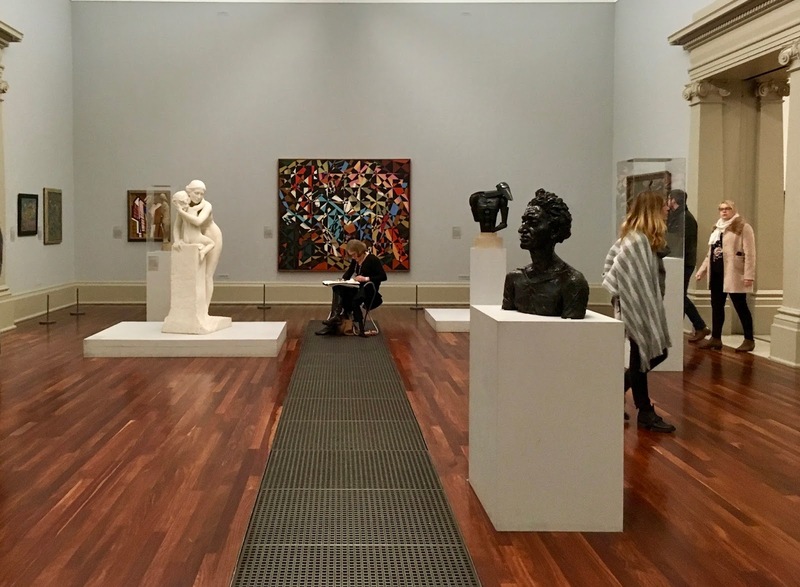 That said, the Tate Britain is a treasure trove and delight and should be on everyone's list while visiting London.